Ever wished you had an extra pair of hands in the workshop? The third hand is the answer! 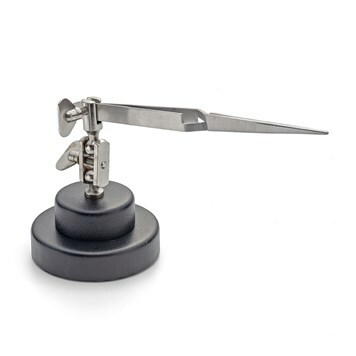 Also known as a third arm, the third hand has sturdy reverse action tweezers which are mounted on a weighted base with an adjustable arm, so it can grip your pieces of jewellery while you work. The purpose of the third hand is to keep both of your hands free for soldering. The third hand is a brilliant tool to have and a jewellery bench essential. It is fully adjustable so that you can change the height and angle, so you can position it in a suitable place which will help you. 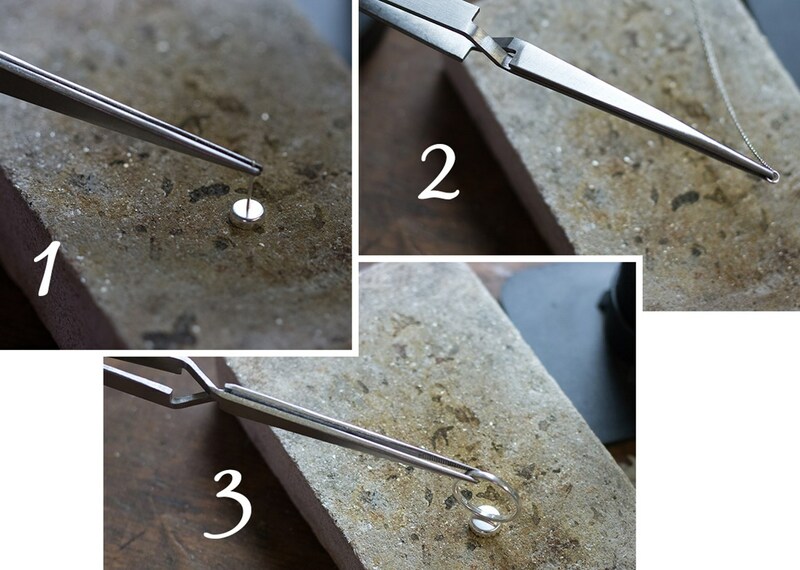 You will no longer need to worry about having unsteady hands when jewellery making, simply use your third hand as a helper to make the process a lot easier. The third hand is not only a massive help in your workshop, but you will find that you will complete tasks faster, and your designs will have a more professional finish. The third hand avoids movement during soldering, resulting in numerous failed soldering attempts. Use it to assemble an accurate, steady soldering setup, which will result in only soldering a minimum amount of times - therefore reducing fire stain. 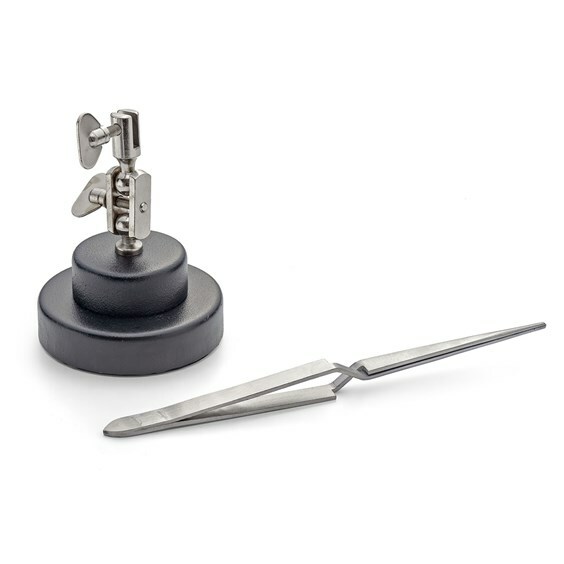 Use the third hand to accurately place your pieces in the correct position, for example when creating earstuds you can place the post accurately and centrally on the bezel cup, ready to be soldered. If you have ever soldered a link on a chain only to find that you've soldered links together, the third hand will stop this problem. With the tweezers, grip the link to which you will solder and this will leave the rest of the chain to hang down away from the solder joint. When creating rings, the third hand is not only good for propping up your work, you can use it to position the ring shank on the bezel cup accurately - without the worry of having unsteady hands. The third hand is a best selling jewellery making tool and it's no wonder, with how useful it is in the workshop! Why Buy 2 Third Hands? We offer a brilliant quantity discount for all jewellers wishing to purchase this tool, as having two third hands can be really useful - especially while your skills develop and your designs become more complicated. With 2 third hands, you can hold multiple items at once while soldering, hold items out of the way so they don't get damaged by the heat and it's great for pushing items together so they don't move while soldering. Once you have a third hand in your workshop, you won't believe that you've gone so long without it!